Tried and True - A Favorite Since 1987! 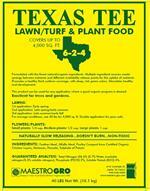 Texas Tee is the premier lawn and turf food for any application. 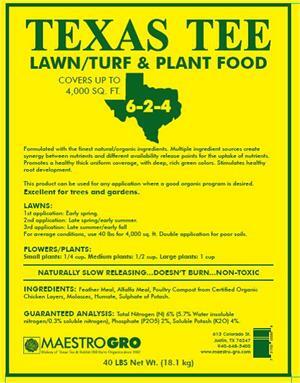 With a 6-2-4 formula, it has the perfect ratio for all grasses, from healthy to deficient. 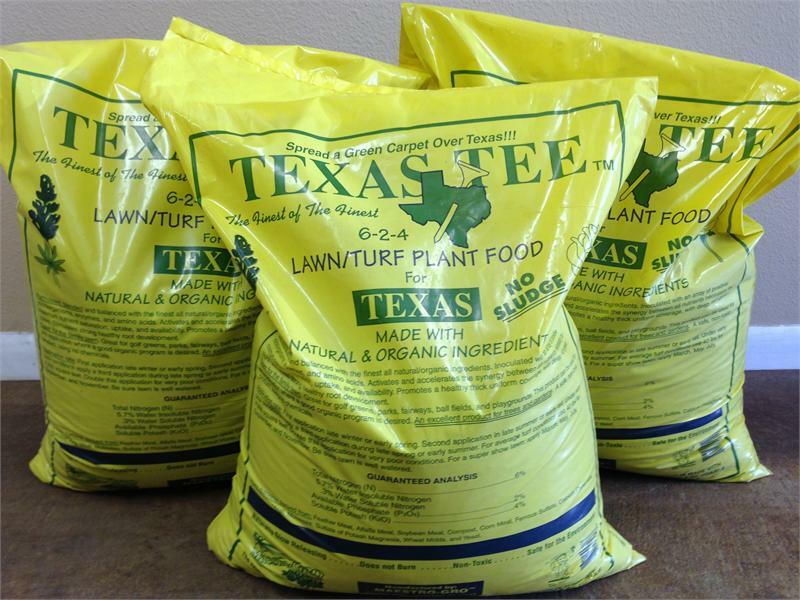 A “blended turf” fertilizer with an N-P-K of 6-2-4, it is one of the most nutrient rich organic plant foods on the market. Made with feather meal, alfalfa meal, organic composted chicken litter, molasses, humates, and potash, Texas Tee will help achieve a healthy, safe and highly disease resistant turf. Also works great for container plants, trees, bushes, shrubs, and gardens. Coverage is up to 4,000 sq ft for 40 lbs.